Don’t know if online degrees are trustworthy? You aren’t alone; many people are skeptical about the quality and substance of these internet-based degrees. But online degrees are incredibly important, offering a host of benefits for anyone who’s looking for an affordable, easy way to earn a bachelor’s or master’s degree. 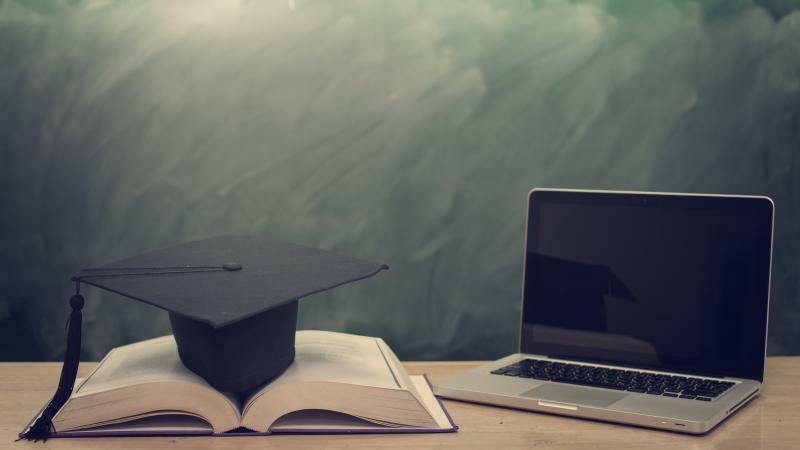 Here are the most common myths about online degrees – and the proof you need to realize just how valuable an online degree program can be. Many people associate online degrees with for-profit colleges with less-than-positive reputations. However, the majority of online degree programs are backed by well-known universities and colleges, meaning they’re just as valid as degrees earned on-campus. According to The Edification¹, many respected universities are adding online degrees and courses to their education options. These colleges simply adapt their traditional on-campus courses, turning them into an online format for bachelor, master, or Phd students around the world. Some of the best-known and most respected universities throughout the U.S. offer online degrees. U.S. News² writes that degree seekers can find online programs at renowned schools like Ohio State University, Arizona State University, and University of North Carolina. If you think online degrees aren’t popular, you aren’t aware of how many millions of students are choosing online classes over sitting in a traditional classroom. Online classes are fast becoming the number-one way for students to learn. The Pew Research Center³ found in a 2011 study that 89 percent of degree-granting institutions in the United States offer online courses. And according to the Babson Survey Research Group⁴, more than 6 million students took at least one online courses. Today, it’s increasingly common that online coursework is the way to get an education. With Babson Survey Research Group⁵ reporting two-thirds of the largest not-for-profit schools offering fully online degree programs, the number of students earning online degrees will only continue to climb. One of the most persistent myths about online degrees is that they aren’t equal to traditional on-campus degrees. Many people believe that an online degree isn’t as rigorous or as reputable as on-campus programs – but this myth is far from true. Online students are learning in the exact same way on-campus students are – the only difference is that an online degree program lets you learn absolutely anywhere, at any time. The course material and workload is the same, and the quality of your education is equal too. The cost of earning a degree is high, but choosing an online program can save you significantly. While physical colleges and universities charge different tuition amounts for in-state and out-of-state students, online colleges allow students from anywhere in the world to earn degrees at the same price. Additionally, you won’t lose out on any financial aid if you choose an online college. Online students are still eligible for the exact same financial aid options, including scholarships and grants, which can help you reduce your costs. Another common myth about online degrees is one that’s persisted for decades: employers won’t hire you if you have an online degree. This myth is connected to the idea that online degree programs aren’t equal to traditional on-campus degrees – but it’s entirely untrue. A survey conducted by Excelsior College and Zogby⁶ proved that 83 percent of CEOS and executives think an online degree is just as credible as those earned through on-campus programs. The most important factor companies look for? Whether or not you earned your degree from an accredited online program. Companies want potential employees with online degrees to have earned them through accredited schools – and the name of the school can also help to prove just how credible your college education is. Online degrees are affordable and accessible, allowing absolutely anyone to earn their degree on their time. And you don’t need to give up any of your current responsibilities to fit education into your life. The key to finding the right program is doing your research. Make sure to carefully research your chosen online degree programs online, verifying their accreditation and reputation. You can also compare tuition prices and any other included costs and look into graduates’ success once they’ve entered the workforce. These qualities can help you find the very best online degree program for your future and your goals.